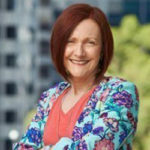 Instead of trying to get tougher on unions and workers, the prime minister should be turning his attention to the social services sector which is struggling to provide support for the most vulnerable, writes Greens Senator Rachel Siewert. When Malcolm Turnbull rolled Tony Abbott for the leadership last year he promised to go full term. Now the PM is going to drag the Australian public to a double dissolution election on 2 July. He is dissolving both houses of Parliament, saying the most important thing this nation should be focused on is bashing up unions and workers. What’s more, he is trying to secure bad legislation that, judging by public responses, most Australians don’t understand. The two industrial relations bills are difficult to explain to someone not deeply engrossed in politics, but they’re bad news. The ABCC bill has rightfully been rejected by the Senate because it disproportionately targets the building and construction industry, and proposes, in some instances, to reverse the onus of proof around industrial action. The bill unfairly targets the building and construction sector without going after other industries, and picks on unions trying to protect workers’ rights. It has been frustrating to see Malcolm Turnbull use unions as a chess piece for a double dissolution outcome, but what frustrates me most is what the government could be working on instead. What about the growing inequality in this country – those that try to survive on income support, low incomes, underemployment, lack of access to health services and education? At the moment, an under-pressure social service sector is trying its best to help vulnerable Australians who are not being provided with enough support by the government to keep them above the poverty line. I have repeatedly called for an increase to Newstart by $50 a week and currently have a private member’s bill before Parliament to increase Newstart. So how about a discussion on this? The government could have also spent time moving away from the failed Work for the Dole measure, which has had miniscule gains when it comes to moving people into meaningful employment. As my colleague Scott Ludlam highlighted in his speech on the ABCC bill, there are 26,000 children who have nowhere to go tonight – that’s 26,000 people under 18 without a home. The government could engage in a debate about doubling federal funding to frontline homelessness services. The homelessness sector would benefit immensely from a funding increase. Each year 1,500 frontline services offer shelter to 256,000 people across Australia, but 119,000 people in need are turned away. I ask: where was the urgency to support those people this week? Instead of wasting time on the ABCC, the government could have acted on the recommendations by the Senate Community Affairs References Committee into improving the rollout of the Indigenous Advancement Strategy. The chaotic strategy has caused a significant gap in services that will impact ongoing work to close the gap. Insecurity and a fractured, shrinking social safety net only entrenches poverty. In a time of an increasingly insecure work environment we need a strong social safety net. As a wealthy community we can afford to support and help the most disadvantaged. It’s not just a strong safety net sitting at the bottom of the government’s to-do list. Currently sitting on the shelves is a recently tabled Senate report into abuse, violence and neglect of people with disability. The government is set on pursuing “thuggery” in our unions, but so far have failed to launch a royal commission into nationwide abuse, violence and neglect of people with disability. The committee made a number of recommendations on this issue, but the government is yet to act on a single recommendation. Not only is this incredibly disheartening for the many victims that wrote submissions but is further indication of where their priorities are. Nationally, our social services sector is struggling to provide support for the most vulnerable. The issue is multi-tiered, with the sector under-funded, struggling with short-term funding arrangements to accommodate a growing need, and continuing to adapt to the cuts and changes to funding programs. There are various steps the government could take to ensure that the social services sector is better equipped to support people. Helping people out of poverty and into long-term, meaningful employment is another issue the government could have talked about this week. As a leader, Mr Turnbull so far has proven to be directionless and brimming with rhetoric. Does Mr Turnbull really believe the nation wants an election to get tough on unions and workers?